Tire and Brake Clinic would like you to know that we have a great selection of used tires. How are your tires in wet or snowy weather? You can save a considerable sum of money by purchasing used tires. You will find the size you need at Tire and Brake Clinic. It’s going to be slick driving when the snow begins to fall. Have you put off replacing those bald snow tires for too long? Just stop by and ask us about our selection of snow tires. Whether you need to replace some tires on your truck or just need a spare, Tire and Brake Clinic has a huge variety of used tires at our shop in nearby Columbia. You will find any car and truck tire you need at the best tire dealer in Tolland County CT- just drive down to Tire and Brake Clinic. We sell many top brands of new tires and quality used tires for your truck or car. 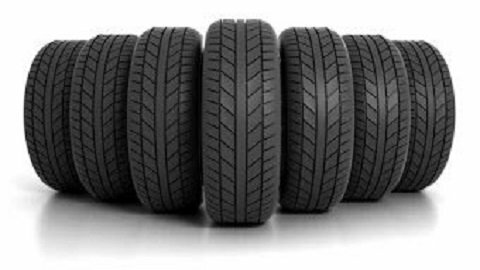 At Tire and Brake Clinic we specialize all brands of used tires. We have a showroom of quality pre-owned tires from all makes and models. If you’re looking for a good used quality tire please call us today and we can tell you on the phone if we have your make and model. Are your tires road worthy? Does your vehicle actually have a spare tire in the trunk? Tire and Brake Clinic in Columbia, CT is here whether you need 1 tire or 4! We know a tire purchase is often unexpected and not in the budget. Let our tire specialists at Tire and Brake Clinic get you safely back on the road. We are here to make your tire buying experience as pain-free as possible. Don’t find yourself on a dark and winding road in the middle of the night with a flat and no spare in the trunk! Now, it’s not fun changing a blown tire in the dark, but you are out of luck without a spare at the ready. Think about your spouse, your teenagers, even yourself late at night with a flat and no spare in the trunk. In and near Coventry, your number one dealer for tires is Tire and Brake Clinic. Call 860-228-0212 today and get yourself prepared for the flat tire that always seems to happen at the worst possible time.